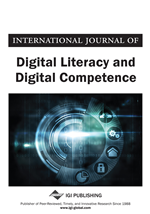 The aim of this study was to determine ICT literacy levels using a situated approach, targeting the functional understanding of technical terms contained in digital everyday culture texts. A cohort of 70 first year undergraduate Education students participated in the study. The assessment task included writing definitions for 47 technical terms which were derived from a series of digital texts, such as songs and advertisements. Students' definitions were evaluated using a simple rating scale. Results indicated that for two-thirds of the terms examined students' understanding ranged from medium to high. On the other hand, students' understanding of the remaining one-third of the terms was either poor or minimal. Furthermore, the correlation of students' understanding of the terms with student's self-reported familiarity with software applications was low to moderate. The paper is concluded with a discussion of the potential of using popular cultural texts as an alternative approach for assessing levels of functional ICT literacy. Literacy has always been historically, contextually, and culturally situated. In older times, a literate person was someone who could read and write. Today, a literate person is expected to have mastered a completely different set of skills, compared to a person who lived in earlier historical times (e.g. the middle ages). As the cultural, social, and economic conditions change over time, so does the notion of the skill set that constitutes literacy. To a large extent, the term literacy defines the knowledge and skills that are a precondition for the effective participation of individuals in contemporary culture. By definition, an illiterate person is excluded from participating in various aspects of social life. As an essential precondition for the full participation of individuals in all forms of cultural life (e.g. social, economical, educational, recreational), literacy is not optional. As Ferrari (2012) put it, literacy is both a requirement and a human right. This changing nature of the term literacy is perhaps most vividly illustrated in the case of ICT literacy. Technology has entered every single aspect of society, from work to education to entertainment. Looking back, it is very hard to find a societal domain that has not been radically transformed because of technology over the last 2 decades. Nowadays, ICT plays a pivotal role in the lives of citizens. Historically, ICT competence was initially associated with skills (National Research Council, 1999). Thus, initially a technology literate person was someone who could operate computers and use computer programs. However, with the rapidly changing technology landscape on both the hardware and the software fronts, the meaning of the term technological competence has expanded considerably. Consequently, the exact nature of ICT competency is constantly changing as a function of the rapid development of technology itself (Ferrari, 2012). The interdependence of ICT literacy with the current technological trends has created a number of issues when attempting to define it, as skills that were thought to depict technological literacy at some time, subsequently ceased to be proof of it. For example, a person that was able to adequately use a word processor in the 1980s, was considered to be technologically literate. However, during the 1990s, the advent of the Internet significantly expanded the concept of literacy: word processing no longer represented any particular level of technological sophistication: the same individual would have to be able to use client programs such browsers and e-mail in order to qualify as technologically literate. The term Technological Literacy is often found in literature in a variety of different versions e.g. Information Literacy, Computer Literacy, Digital Literacy, Network Literacy, and Media Literacy (see Bawden, 2001). What complicates things further is the fact that due to convergence, today technological literacy is intertwined with other forms of literacy that used to be separate (Jenkins, 2006). As young students grew up surrounded by technologies, scholars have considered them to be “digital natives” (Prensky, 2001). In addition to digital natives, the youth have also been referred to as the “net generation” or the “millennial generation”. What all such characterizations share is the notion that students have been “born digital” (Palfrey & Gasser, 2013), having a privileged relationship to technology from an early age. While Prensky's distinction between digital natives and digital immigrants had become a fashionable way to describe the digital divide, academia has not been very enthusiastic about this conceptualization. For instance, Bennett, Maton & Kervin (2008) adopt a very critical stance on the notion of digital natives. Several other empirical studies provide evidence that while all young people have been indiscriminately considered as digital natives, in reality there appears to be considerable variation even among this age cohort in terms of technology access, usage, confidence, and adoption (e.g. Kennedy, Judd, Churchward, Gray & Krause, 2008; Li & Ranieri, 2010; Jones, Ramanau, Cross & Healing, 2010; Eynon & Malmberg, 2011; Margaryan, Littlejohn & Vojt, 2011). The findings of both quantitative (e.g. Eynon & Malmberg, 2011) and qualitative studies (e.g. Corrin, Bennett & Lockyer, 2013) seem to converge on this issue.